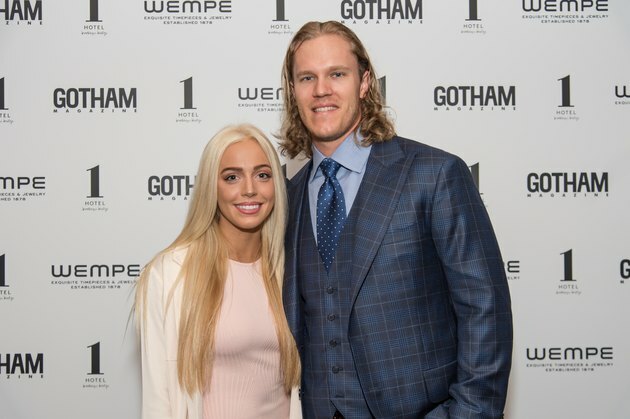 New York Mets star pitcher Noah Syndergaard — nicknamed Thor for obvious reasons — has been placed on Major League Baseball's 10-day disabled list (DL) after contracting Hand, Foot, and Mouth Disease (HFMD). This highly contagious infection causes symptoms similar to the common cold, including fever, sore throat, runny nose, diarrhea and vomiting. But what really makes HFMD a doozy is the little red spots that appear in the mouth, on the palms of the hands and on the soles of the feet (hence the name). They develop into painful blisters, according to the Centers for Disease Control and Prevention (CDC), and can also appear on the knees, elbows, buttocks, or genital area. The 25-year-old pitcher likely caught the disease, which is considered to be rare in adults, while visiting a children's baseball camp last week, NY Mets Manager Mickey Callaway told ESPN. "During the game, he didn't quite figure it out. He knew he had trouble breathing," Callaway said of Syndergaard's performance at the start of what would be a 7-5 win the against the New York Yankees last Friday.. "I put my hands on his legs to talk to him when he came out and said, 'Hey, man. Is everything OK?' And I felt his leg shaking. So he was just weak and run-down, and I think the virus just took its toll." Just five innings in, Syndergaard was taken off the field, which was when he first noticed red splotches and blisters on his hands. So far, according to Callaway, no one else on the team has experienced any symptoms. Being placed on the 10-day disabled list means that although Syndergaard will be temporarily taken off the New York Mets' 25-man active roster, he's still on their 40-man roster. He has to stay benched for at least 10 days and can sit out longer if needed. Last year, an uptick in HFMD cases in preschools, day care centers and college campuses prompted concern among pediatricians. One doctor said that he’d seen more in 2017 than anytime in his 21 years as a pediatrician. The CDC warns that young children who develop HFMD might get dehydrated if painful sores prevent them from being able to swallow enough liquids. “It is OK to use pain medication, such as Tylenol or ibuprofen, for the pain to keep them drinking,” pediatrician Amanda Griffin told Texas News Channel 10. Symptoms usually take three to six days to show up. Be sure to keep your child (or yourself) home if you start to feel icky. “Once the virus gets in any setting, it can get passed around, and most commonly that would be in a day care setting because younger children typically are the ones we think about getting this,” Griffin says. But, since adults can get it too, there have been outbreaks on college campuses, she says. You can help prevent this nasty virus from spreading by washing your hands with soap and water frequently, regularly cleaning and disinfecting touched surfaces and avoiding close contact or shared utensils and cups with people who have HFMD. Though there are no specific vaccines or treatments for HFMD, doctors can recommend medicines like Tylenol to treat the symptoms. The illness usually runs its course in about a week, leaving nothing behind but a bad taste in your mouth (not literally). So, with luck, MLB's Thor will be back in action before the rain lets up in New York. Have you ever heard of this illness? What steps do you take to avoid getting sick? Let us know in the comments section!